Most college students dream of graduating with as few loans as possible. 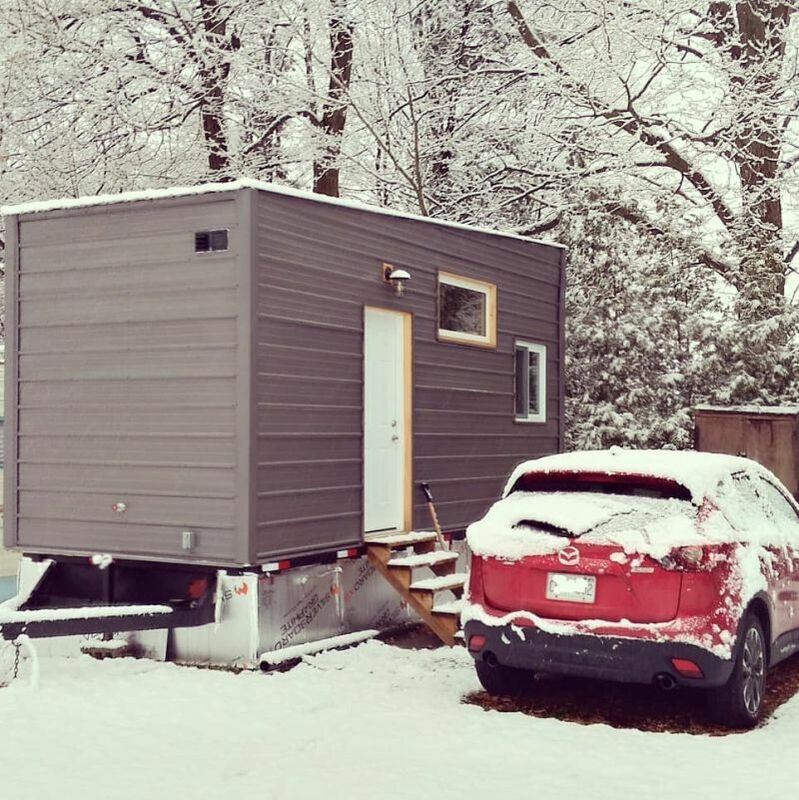 Nicolette Cascione and her boyfriend Michael have put up a great example by opting for a tiny house in order to minimize college expenses. 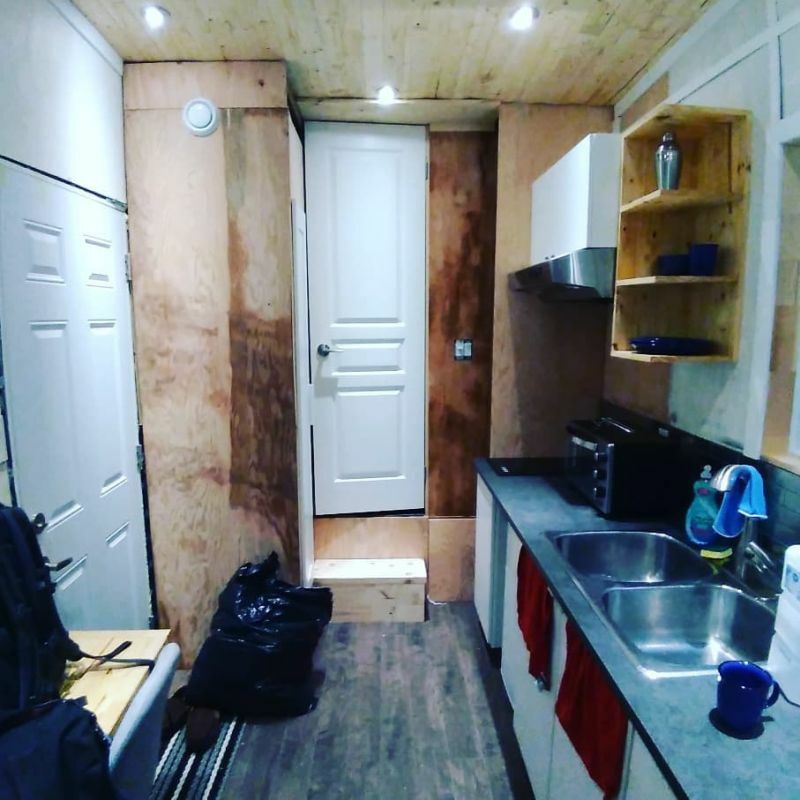 Another recent example is of engineering graduate Tyler who has built a budget-friendly tiny house in order to own a mortgage-free home, and enjoy the challenges of life on the road. 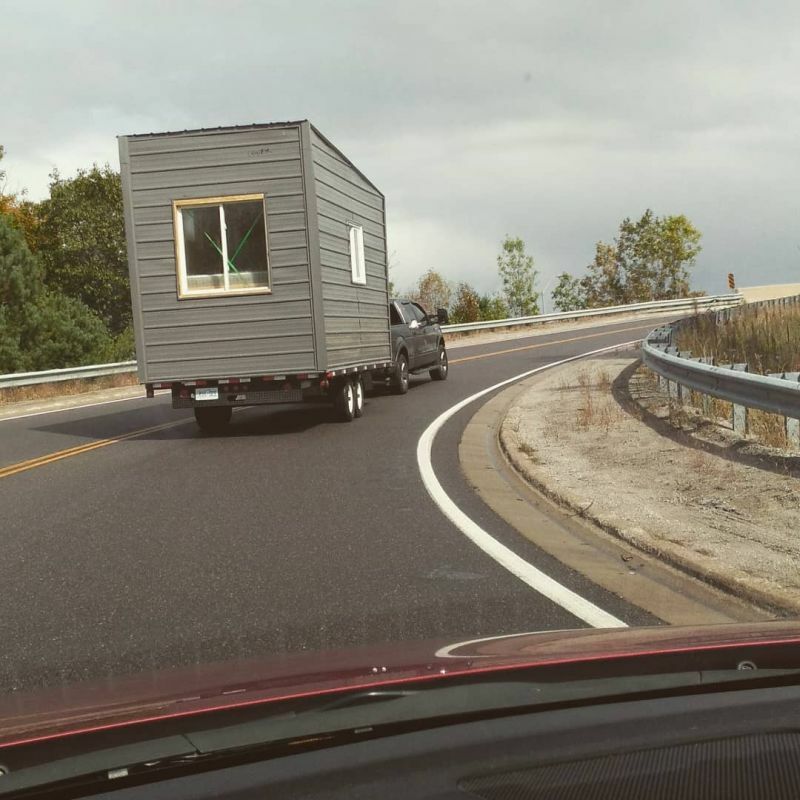 He designed the tiny house from scratch with the help of his family and friends for under $20,000. 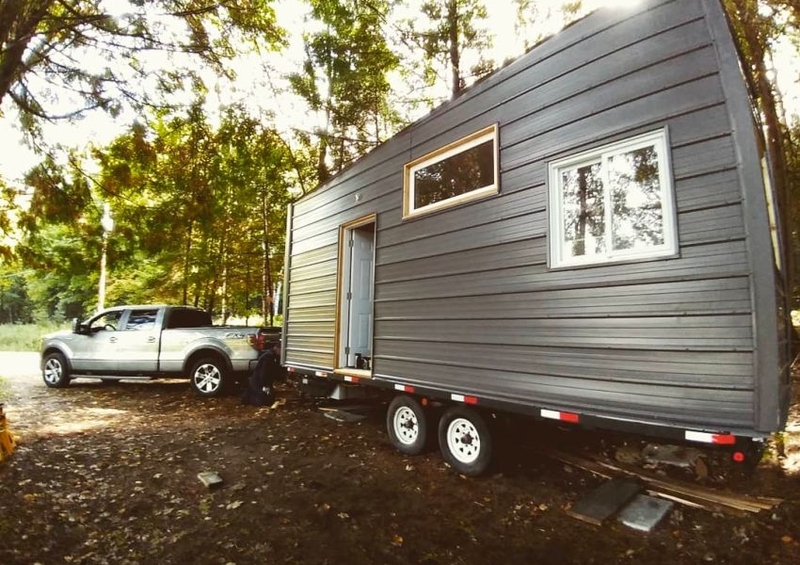 Built on a 20-foot flatbed trailer, the tiny house includes a kitchen, bathroom and a ceiling retractable bed with seating space underneath. 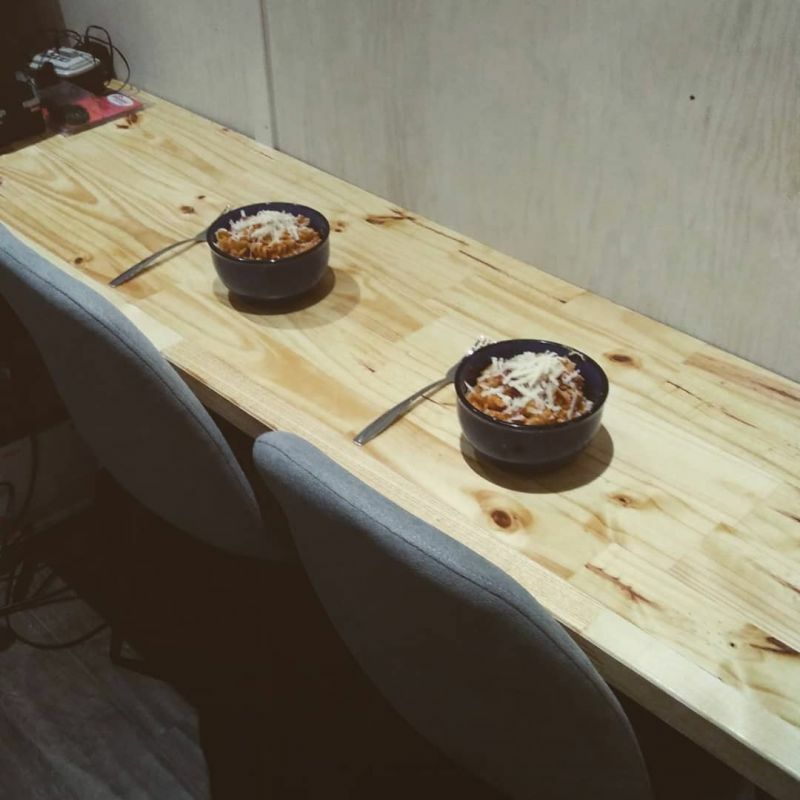 There’s also a wall-mounted table that can be used for dining and work. Exteriors are clad with corrugated steel for durability, while lots of reclaimed materials are used to minimize the overall cost. 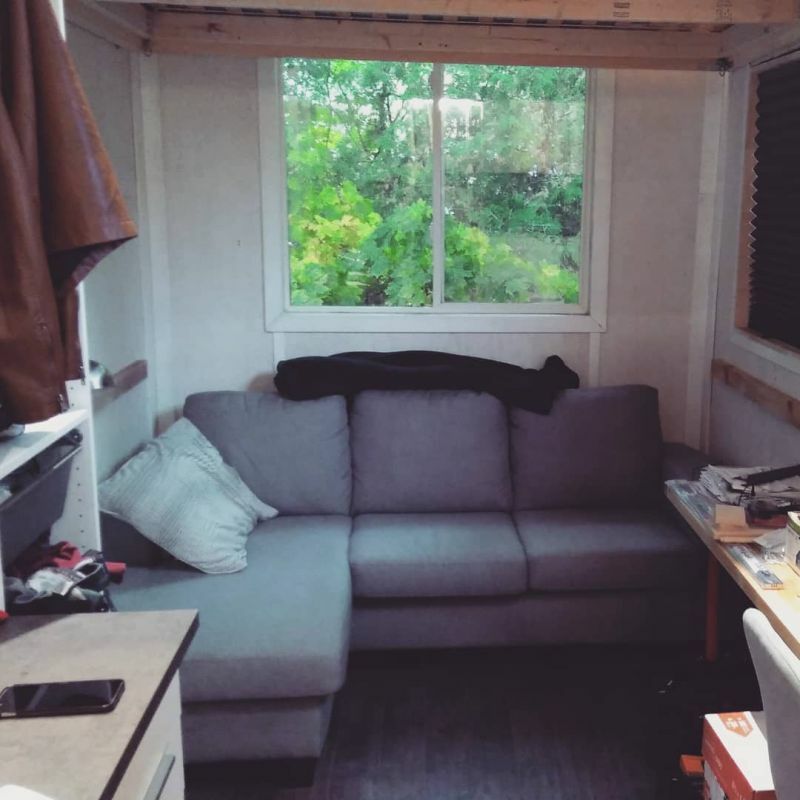 From windows and insulation foam to kitchen cabinets and the trailer itself is reclaimed and refurbished, allowing Tyler to keep the project cost down. The kitchen area has basic facilities, including an induction cooktop, mini bar fridge, sink and pantry. 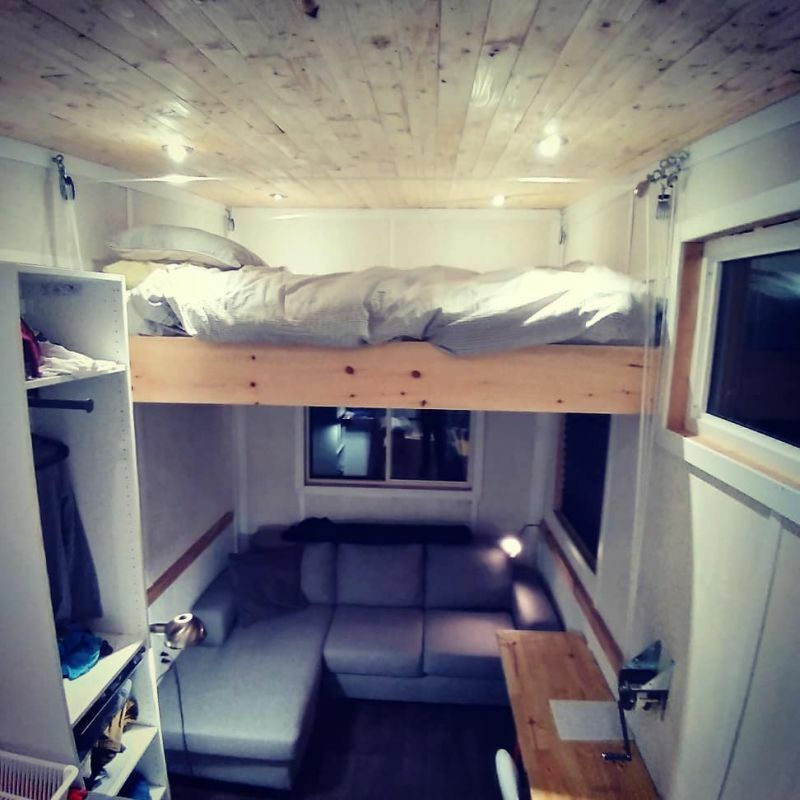 Like many other tiny houses, it has an elevator bed that retracts into the ceiling unveiling a cozy sitting area underneath. Bathroom is setup on a raised floor, with water tanks, booster pump and pipes underneath. It has a composting toilet, a small 10-inch-wide sink and fiberglass shower. Next to the bathroom alongside the entrance is located the mechanical room housing electric panel, hot water heater and heat recovery ventilator to drag moist air out. 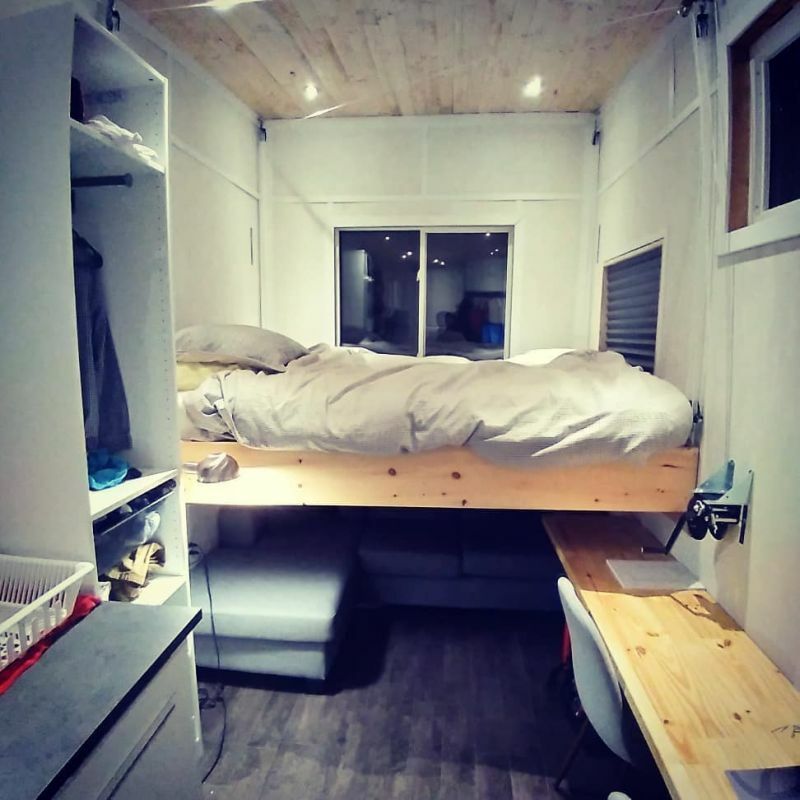 The most unique feature of Tyler’s tiny house is the radiant heated-ceiling that is supposed to deliver better results than the heated floor. He has integrated aluminum plates and 10-inch insulation on the ceiling to bar heat from escaping. According to Tyler, the ceiling can be heated to high temperatures as opposed to heated flooring, which can cause burns in the foot. Moreover, he sees it as an energy-efficient heating solution for tiny homes. 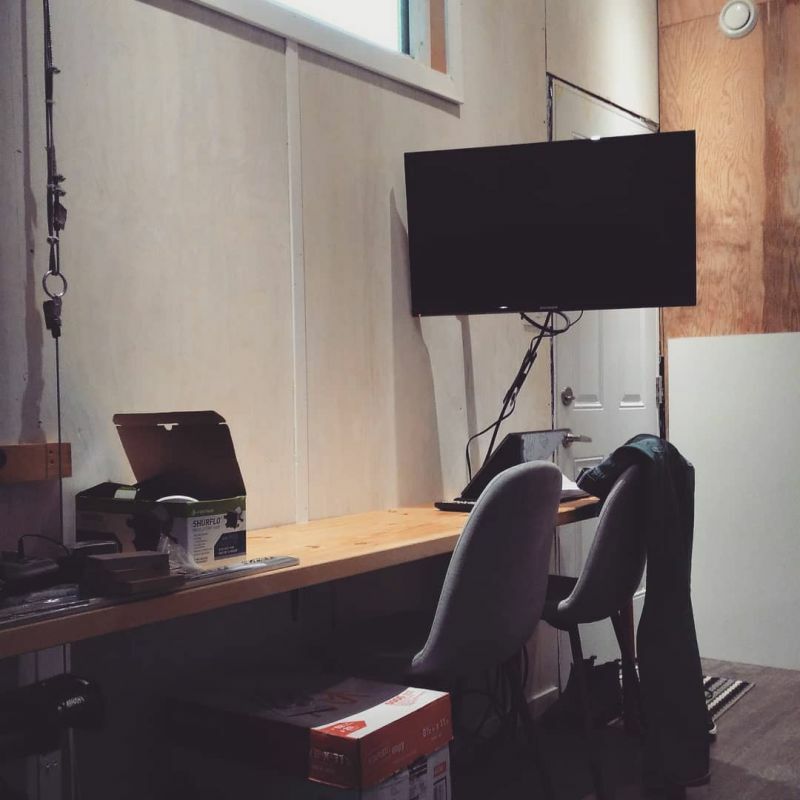 Tyler nicely completed the challenge of building his own home in an affordable way. 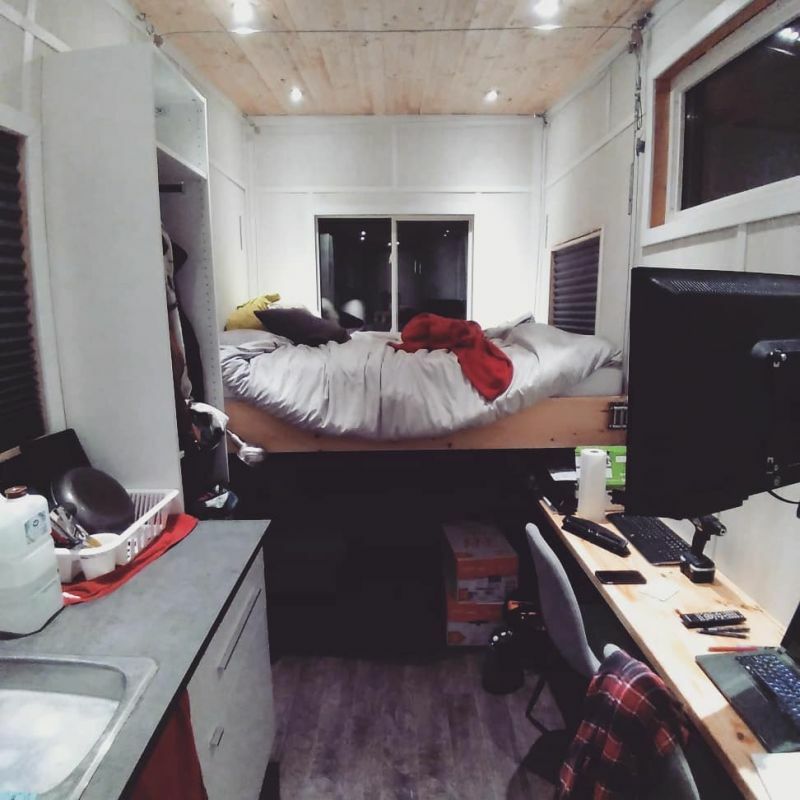 Rather than spending $1,000 a month on a rented basement apartment with limited sunlight, he now lives in his own tiny house totally debt-free and sans any bounds of locality.